Overview: Sleek Machine, LLC is a Boston-based advertising and communications agency seeking an Intern for its Public Relations Group. Sleek Machine currently is dedicated to executing the best creative thinking for our clients, and we are looking for a hard-working, detail-oriented Intern that is hungry to learn about the PR profession. Scan publications and online clipping services for relevant articles, including client, industry and competitive information. Create electronic clips and help ACs track clippings. Sleek Machine is a top small creative agency based in Boston, mixing strategy, creative, and production talent to help clients outsmart, outmaneuver and outhustle their competition. Sleek Machine offers advertising, brand strategy, PR, design, social media, filmmaking and digital content production. Notable Sleek Machine clients include Boston Celtics, Indeed, Stanley Black & Decker, MINI, and B.GOOD. Journalism + Communications Internships – the Ultimate DC Experience! Looking to gain experience in journalism or other communication fields this summer? Want to intern in the nation’s capital? Then check out the “Institute on Political Journalism” internship with DC Internships. Spend your summer in Washington, DC and prepare for your future! The 8-week program allows students to intern in the fields of journalism, public relations and communication while earning academic credit. The eyes of the world are on Washington, DC as never before, and fair and accurate reporting is needed now more than ever. Each year, Washington, DC attracts many journalism student interns who are all passionate about politics, getting the story straight and learning the ins and outs of the news business. You will live just blocks from the national monuments, State Department and White House on the campus of George Washington University. Fully furnished housing and roommate matching is provided as part of our comprehensive program. Earn course credit while you intern! You will earn 3 to 9 academic credits this summer. Our unique curriculum is designed to complement your DC experience with upper level ethics, government and economics courses. Academic course credit is provided through George Mason University and taught by top rated faculty from GMU and other top local universities. A journalism or communications internship is one of the most important investments you can make in your future. Based on your interests and skills, you will be placed in an internship in the Washington, DC area. We have been creating academic internship experiences for nearly 50 years and work with over 300 top organizations in DC. Who you know does matter – especially when it comes to your future job search. Our comprehensive program is designed so you can make valuable professional connections with working journalists and practice your networking skills in a real-world setting. Make plans for your summer! Visitwww.DCinternships.org/IPJ to begin an online application today. Apply by the early deadline of December 5 to receive priority admissions and scholarship consideration as well as a 5% tuition discount. We strive to make the programs accessible and affordable to the best and brightest students regardless of financial status. Scholarship awards are granted based on need and merit with over 70% of students receiving full or partial funding. Questions may be directed to admissions@tfas.org or 202.986.0384. Looking to gain experience for your portfolio over the summer? “Boston-based Kel & Partners is looking for amazing interns to support the PR team this upcoming summer ‘17! Read more about this opportunity and apply online. They are currently looking for a Social Media Recruitment Intern to help enhance their presence across various social channels and leverage it to boost their recruiting efforts. This is a 20-hr per week paid position based out of Boston, MA, and a great opportunity for total immersion into the Recruiting function of a large property management company. The hours are flexible (between 9:00 AM and 5:00 PM, Monday through Friday), and they’ll give you a T-pass so you can get around. Interested? Go to their website to read more about this position and apply online. “LaunchSquad is an eclectic community of people committed to producing the best possible results for the companies we love. We build creative communications programs – bringing together story strategy, PR, social media and original content – for some of the most innovative start-up and mid-stage technology, consumer lifestyle and media companies around. LaunchSquad is looking for creative, enthusiastic and detail-oriented students enrolled in undergraduate or graduate degree programs to join our team as Interns this summer. Interns will work on 2-3 client accounts and can expect to take part in all aspects of teamwork on each account. Day-to-day work will include tracking media coverage, research, reporting, writing, pitching, contributing to strategic social media initiatives and participating in team brainstorming sessions. Interns will also work on cross-agency projects as they arise. A sense of humor helps too! “Aras has a great internship opportunity for a Communications or Marketing major eager to get hands on, practical experience driving the front end of the funnel through a range of awareness programs. In this role, you will gain exposure to a variety of Public Relations and Marketing activities and contribute to the company’s goals. Aras is empowering the world’s most advanced manufacturers to handle the complexity of product development, IoT, Industrie 4.0, and Digital Twin. We are looking for an intern with the similar drive to make an impact along with us. Want to learn more about or apply click here. Support all aspects of public relations activity: develop press lists, monitor editorial calendars, follow writers and industry analysts, and assist with website content. Provide competitive intelligence and trend information to help inform marketing messaging and customer engagement. In this capacity, you’ll help be Aras’s eyes and ears in the market. Support social media strategy: promotion of assets, engagement with followers and potential prospects, execution of sponsored ad campaigns, and creation of general awareness for Aras. Platforms will include LinkedIn, Twitter, and Facebook. Other research that may support lead generation, marketing programs, account research, and competitive research. “LEWIS an entrepreneurial integrated communications agency that has gone from start-up to multi-national in twenty years.” They have over 25 offices, with over 600 employees. Their success is due to a combination of organic growth and strategic acquisitions and is reflected in being named PRCA’s International Agency of the Year for 2015. They are the fourth fastest growing agency in the global top 50. “What makes us different is that, not only are we independent, but we are 100% employee-owned. As an intern in LEWIS PR’s Boston office, you’ll be given a hands-on role in the operations of a leading PR firm. This experience will be crucial if you are considering a career in PR or marketing communications. Your role will be to provide administrative support to the PR executives in their daily duties with tasks including collaborating on research projects, report generation and maintenance as well as general office tasks. In short you’ll be run off your feet, so only apply if you like being busy. Lots of energy and a great attitude are a must. Fluency in English is essential. You should be interested in the media and technology. The Lynn Journal, a weekly newspaper, is looking to hire a student journalist ASAP to cover Lynn City Council meetings, which take place every Tuesday (sometimes every other Tuesday). The Journal pays writers $50 per article, and the council meetings can result in up to 2 or 3 articles per meeting (for $100 or $150 per meeting). Articles would need to be submitted by around 10 a.m. the following morning after the meeting. If you are interested, please contact Editor Cary Shuman at cary@lynnjournal.com. Please note that the Journal is part of the Independent Newspaper Group, which includes a dozen weekly newspapers from Boston to the North Shore—so there is ample opportunity to write news for those other papers as well. “Salem State University’s marketing and communications department seeks an outgoing, self-motivated student intern to help promote campus life through the university’s various social media platforms. The intern will curate and publish content across YouTube, Twitter, Instagram, Facebook, LinkedIn, and Tumblr. The intern will shoot and edit video as well as take photos of campus events to engage prospective and current students, as well as our community. The intern will pull insight reports and analyze our current social accounts. These reports will help the intern provide data driven recommendations to marketing and communications staff from their unique student perspective. The intern must possess a strong familiarity with publishing content and reporting across social media sites specifically Facebook, Twitter and Instagram. The intern must have strong web writing skills and a solid understanding of current social media trends. The intern must have attention to detail, ability to organize and plan projects, and to work creatively, independently and collaboratively. Relevant experience with video/audio production is preferred. The Washington, D.C. based Institute on Political Journalism is now accepting applications for the February 8, 2017 Priority Deadline. Housing in the heart of Washington, D.C.
Our goal is to provide students with hands on experience in reporting, editing, interviewing and navigating the media landscape in Washington. For public relations students, our goal is to put them front and center with companies and organizations that provide a variety of services for their clients: crisis management, media promotion, advocacy campaigns, legislative and federal outreach. As you know, today’s students are tomorrow’s leaders. Building on what you have taught them in the classroom, we are committed to providing an educational experience that will prepare students for successful careers in both media and strategic communications. Please share the announcement below with any student whose aspiration is to be among the next generation of professionals to shape tomorrow’s journalism or communications landscape or consider applying yourself. Students should apply by February 8 for priority admissions and scholarship consideration. Please visit www.DCinternships.org/IPJ for detailed information on the program. Please contact me at 202.986.0384 or mstankus@tfas.orgwith any questions. Thank you for your time and consideration. This paid 16 week program provides a unique opportunity for recent college graduates to work in a fast-paced environment and learn from PR’s best and brightest practitioners. Executive Trainees are selected on talent, creativity, and passion, and are not required to have prior experience in the field. Executive Trainees work full-time, attend weekly classes and participate in other educational and social activities. The agency hires many of the program’s best graduates to fill Assistant Account Executive positions. Keep in mind that the deadline to apply is January 1st. The iRobot Public Relations Internship program is designed for individuals considering a career in public relations and marketing. Interns are provided a real-life professional experience in which they can learn about public and media relations in a corporate environment and gain hands-on knowledge of the basic PR skills and tools. Interns typically perform at the level of an account coordinator, an entry-level position. We are currently seeking qualified candidates to join the communications team in Bedford, MA. You will assist in managing the brand and image of a public company and consumer facing technology leader. You will manage the iRobot editorial calendar, field incoming requests, draft coverage reports, support the product reviews program, build and maintain media kits and support interviews and events. This role requires an experienced student that has a passion for public relations, internal communications and technology, is high‐ energy, organized, team driven, and detail oriented, with superior communication skills, both written and verbal. Essential Functions: • Assist the public relations team in building long‐term, trusted media relationships with producers, journalists and bloggers at the top national consumer, broadcast and vertical outlets as well as relevant international publications. • Support the public relations and internal communications teams to execute on programs that build a favorable public and internal image for iRobot, company executives and key products including: Roomba, Braava, Mirra and Looj. • Daily Press Coverage Report ‐ Daily monitoring and reporting on iRobot coverage to iRobot employees. • Help manage logistics for the iRobot product reviews and awards programs to ensure fair and positive evaluations of iRobot Home products. • Daily and quarterly clip reporting for senior executives of each division. • Assisting with B‐Roll and Image Requests. • Perform administrative and various clerical duties. • Help maintain client media lists. • Package press kits, promotional mailings and giveaways. Keep in mind that this co-op starts this January. If you are interested in lease contact Karoline Etter at ketter@irobot.com. UNIQLO is recruiting now for marketing communications jobs in the greater Boston area. Many positions are available. Check here to apply for either a job or internship. However, internships are only avaible for juniors during the summer time. Visit their website to see what they are all about! The Governor’s Office is recruiting college students for part-time unpaid internships in the State House and their Communications Office for this upcoming Fall term (September through December): Particularly students either with a major in Communications and or have photography and videography skills. Communications interns will have the opportunity to develop their skills in a fast-paced professional environment while getting an in-depth look at state government and public service. You can learn more about their Communications office by clicking on this link http://www.mass.gov/governor/administration/governor-internship-program/descriptions/#communications and also get an idea of the events they’ve cover on their social media platforms, https://www.flickr.com/photos/massgovernor and https://www.instagram.com/massgovernor/. The deadline to apply is Friday, August 12th. Peabody Essex Museum has several internship opportunities for the Fall 2016 semester. PEM offers internships to graduate and undergraduate level college students as well as adults seeking professional development. The semester-long internships (September–December, January–May and June–August) include opportunities throughout the Museum in Education, Exhibitions and Research, Development, Creative Services, Curatorial, Marketing and many other departments. In addition, PEM offers monthly Intern Enrichment Programs for interns to expand their knowledge of art museums and promote their creative development. A complete listing of available internships click on the link below! The deadline for submission is August 1st. Intern candidates should visit: http://www.pem.org/about/_employment/internships_fellowships/for up-to-date listings and application instructions. Please contact me or email internships@pem.org if you have any questions. 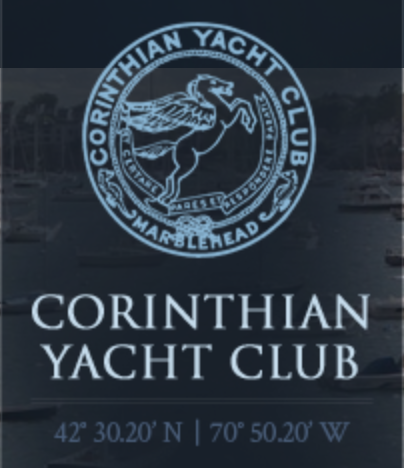 Corinthian Yacht Club in Marblehead is looking to hire an intern for Summer 2016. For this position you would assist their communications associate with graphic design, photography and social media for their website, marketing, and emails. You would also be at the front desk answering phone calls, making reservations, retail sales, and other duties. Sidekim Food is a full service catering company in the greater Boston area. CEO and food expert Peter Mikedis is looking to rebrand his company and would like to hire an intern. The position is opened right now, for the spring semester on the North Shore. If interested in this awesome opportunity, contact Peter Mikedis by email at Pmikedis@sidekimfoods.com and find out more about the company through their website; www.sidekimfoods.com. The Student Involvement Department is looking for a student to assist SSUPRSSA’s VP of Chapter Development, Nikki Vergakes, as a social media manager to help grow their online presence. If you’re looking for a great internship opportunity in Boston, MA for the Spring, check out these TWO internship opportunities available by The Trustees organization. “The Spring Public Relations Intern will focus on supporting the fast-paced PR department at The Trustees, which is about to celebrate its 125th anniversary in 2016. As the programming partner at the new Boston Public Market and stewards of some of Massachusetts most popular destinations including the Castle Hill on the Crane Estate and Crane Beach, as well as over 100 reservations including working farms, urban gardens, campgrounds, inns and National Historic Landmarks, the PR department at The Trustees employs a multi-faceted and multi-channel approach to media relations. “The Spring Garden Programming Intern will focus on supporting and further developing the Master Urban Gardener program (MUG). After MUG concludes in mid-March, this intern will support the promotion and administration of the Seed, Sow, & Grow (SSG) workshop series. We’ve been creating academic internship experiences for over 40 years and guarantee all participants an internship placement. Your options are endless – we work with over 200 different newspapers, magazines, radio and TV stations, trade publications, as well as corporate and nonprofit PR organizations. If you are interested in applying, the early deadline is on December 10, 2015. If you apply by this deadline, you will receive preference in admission and be considered for a scholarship and a 5% tuition discount. For more information on how to apply and on the scholarship visit www.DCinternships.org/IPJ . Matter Communications is hiring a paid Public Relations intern to work in their Newburyport, MA office. Here you will learn about business and public relations/ social media programs. You will also get the chance to work with client teams and perform work that is crucial to colleagues and client. If interested, please contact printer@pem.org. If you are one to have a passion for becoming a design expert in both print and digital media, apply for the Marketing Assistant Internship at the SSU Career Services. Here the candidate will play a role in helping to articulate Career Service’s brand internally and externally in fresh, effective and accessible ways and will be able to manage several deadline-driven projects at once. It’s never too late to secure a summer internship. If you’re interested in earning some money and experience with hands-on client meetings, pitching, and content creation, Kevin York Communications has the job opening for you. This position is perfect for someone who lives in the Boston Area, has an opening in their schedule for a part-time paid internship, and wants to gather hands-on experience. “At Kevin York Communications, a Summer Associate plays an integral role within the KYC team and on client accounts. You’ll be considered a full member of our team; yes, even working directly with clients. You’ll help us develop communication strategies; draft content; pitch journalists; perform research; manage client materials like social media calendars, media lists and event calendars; and pitch new business. Why would you be the ideal intern for Kevin York Communications? What would you consider to be your most significant comms/marketing-focused accomplishment (school projects are acceptable)? Please give a detailed overview of the accomplishment. What social media platform do you think is the most overlooked by marketers? How could marketers make better use of it? Our chapter advisor has recently clued us in on a new tool that will help us in our job/internship search. Just make an account, upload your resume, and search for jobs! You can sign up for job alerts. Along with this tool here are some other tools where you can find a job or internship. LinkedIn – make sure you get the app, read the emails, and connect with other professionals! If you know any other tools, let us know and we’ll add them! We look forward to educating you further on the job hunt in the upcoming meetings this semester. CGPR, located in Marblehead has many outdoorsy clients such as Adidas Outdoor, Birkenstock, Patagonia, and more. If you like being on your feet as much as thinking on your feet – listen up! CGPR in Marblehead is looking for spring interns. The internship would be full-time, five days a week and paid. Check out their website to check out what work you could be adding to your resume. Because CGPR is such a small firm, you’ll be working so closely with account coordinator you’ll be getting the same experience as an account coordinator, not just an intern. If you’re interested – email chris@cgpublicrelations.com. Chris Goddard is very interesting in hiring us SSU students, so be sure to mention us. Karoline Etter is the e-board member who told us about this position, so mention her as well. Best of luck! The Rendon Group, based in Boston, is still looking for spring 2015 interns. They deal largely with NGO and Government PR. Interns would work closely with senior account executives to prepare for the “Women2Women, Empower Peace’s annual young women’s leadership program”, which occurs every summer. Intern duties include research, drafting press releases, databases, outreach, and social media. Please email Molly Lomenzo at mlomenzo@therendongroup.com with your resume if you are interested! Dates: January-June 2015, at least 3 consecutive days/week 10am- 4pm. PRSSA is working hand-in-hand with Career Services here at Salem State University to inform you about upcoming jobs and internships in the Boston area at various communications agencies and departments. We’re in constant contact with our awesome liason Angelique Kim, the associate director of employee relations, who will be feeding us jobs and internships daily whenever her offices finds out about them. You can rely on us and CSO to further your college career and jumpstart your future career. Check back here, on this page for job and internship postings whenever they come up, and check our twitter, @SSUPRSSA for links to job and internship postings. Make sure you’re checking the career services portal and social media to be informed of all the job postings. Reporting to the Marketing Art Director, the Graphic Design Intern is responsible for aiding in the creation of a variety of strategic marketing material, for both print and digital media. The Graphic Design Intern will work with Marketing staff and associates throughout the company, and will be responsible for a variety of projects from concept through execution. The Graphic Design Intern, with direction from the Art Director, will review marketing materials created to ensure alignment with corporate branding. 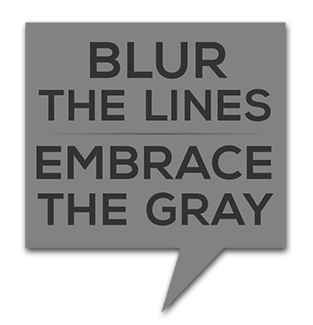 The Graphic Design Intern will work in a fast paced environment and will need strong multit,asking skills. Sales and tradeshow support materials, including PowerPoint, brochures, sell sheets, and product guides. Event collateral, including invitations, signage, business cards, brochures, guides, and presentations. Conceptual mockups – must be good with exacto blade, folding, and gluing. Additional projects including: internal communications, web site content, publications, newsletters, PDF forms, and others. Ability to manage multiple tasks and to set priorities according to key business needs. Possess an ability to resolve issues quickly and effectively. 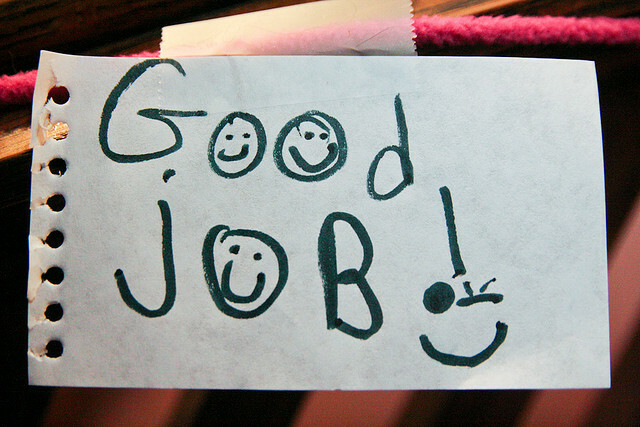 Ability to quickly identify and work with internal team members to accomplish goals. Proficiency in graphic design software (InDesign, Photoshop, Dreamweaver, and Illustrator) and experience designing for both print and digital is required. 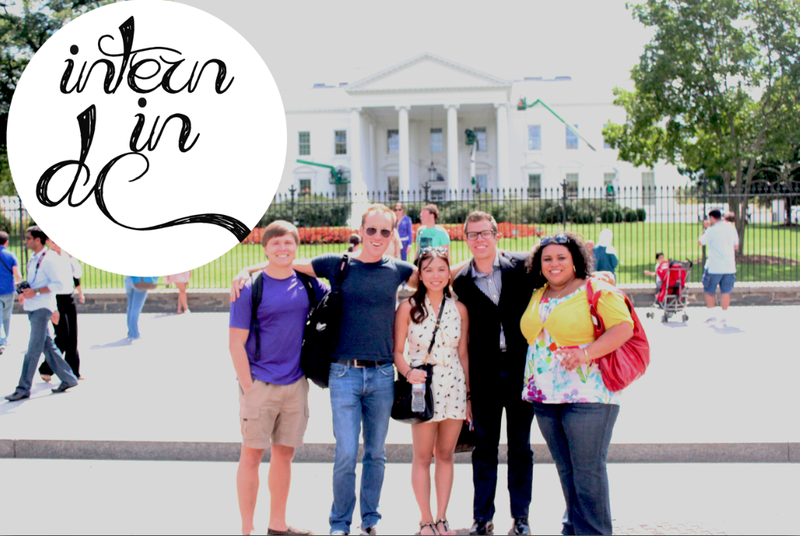 The WMI program is similar to a study abroad experience, in the nation’s capital! Students live in a dorm housing, in downtown Washington, DC, and attend lectures and seminars twice a week, while participating in a professional internship 4 days a week. Participants earn 6 credit hours in the summer which can be transferred back to your university. …and many more exciting PR organizations. Scholarships are available for PRSSA Members! Do you have plans yet for this summer? Have you thought about spending 8 weeks in Washington, DC completing a media related internship and earning credit from George Mason University? Cover a press conference at the National Press Club. Attend a strategy meeting with coalition groups advocating for clean energy policies. Make media pitch calls on behalf of a client whose is promoting her latest book. Serve as call screener for a radio talk show. Brain storm ideas for a Congressional candidate’s latest television commercial. Interview participants at a campaign rally. Edit video and audio sound bites for an online news site. Collect “man on the street” interviews for a 24-hour news radio station. Write script copy and create graphics for political TV program. In addition to an internship and classes, our program provides housing in furnished apartments in downtown DC, planned social activities, professional development seminars, and numerous opportunities for networking. Applications will be accepted on a rolling basis until March 18. To learn more about the programs and to begin an online application, please visit www.DCinternships.org/IPJ. Questions may be directed to 202.986.0384 oradmissions@tfas.org. We look forward to receiving your application!